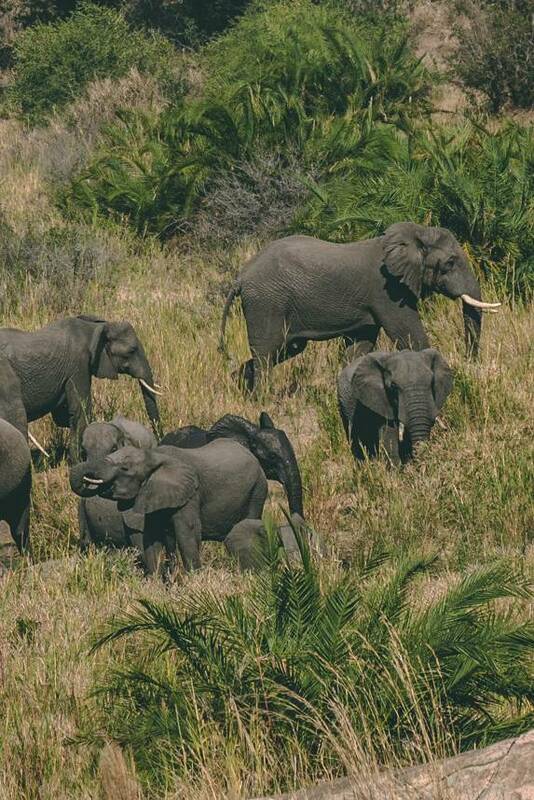 These must be the biggest animals in Africa! Envisioning hippos and giraffes making the list. 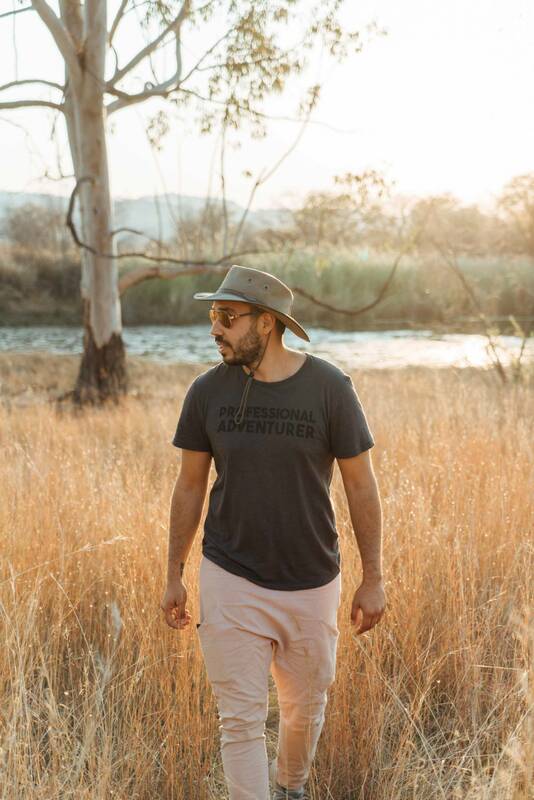 However, my local guide for G Adventures tour Johannes, informed me while on our tour of Cape Town, Kruger National Park and Zimbabwe that the Big 5 actually refers to the animals in history which were the most difficult to hunt: lion, buffalo, leopard, elephant and rhino. Today these animals amongst other wildlife are protected, but that doesn't protect humans so stay in your vehicle at all times! To spot all five of these animals in one day is a very rare occurrence, especially the majestic leopard. 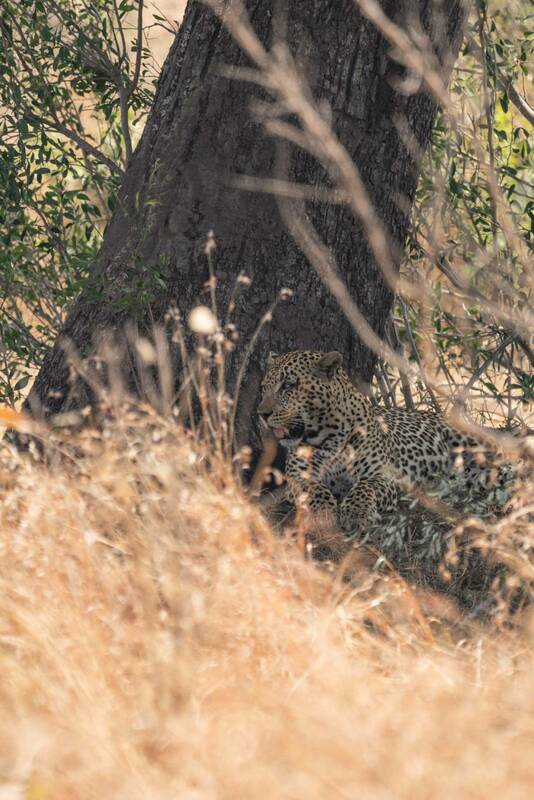 One local woman I met has visited the park for twenty years and never caught site of a leopard. I must have had a horseshoe in my bag because we saw all five by lunchtime, including three leopards! Part of this was sheer luck, but we did have the odds in our favour...so can you. 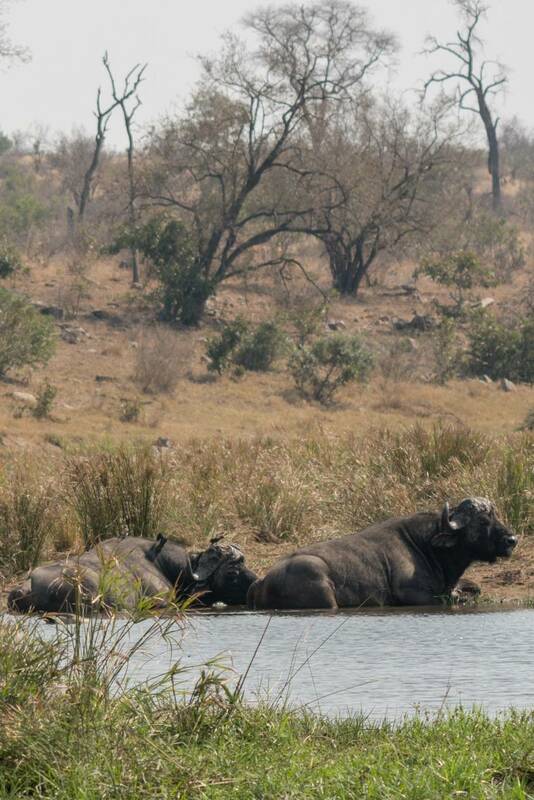 How can you spot the big 5 animals in Kruger National Park? Book Your South Africa Adventure with G Adventures By Clicking Here! 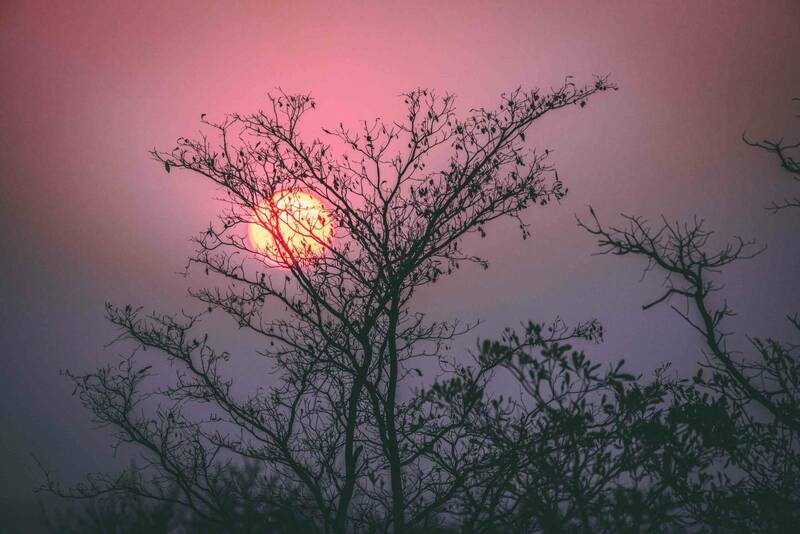 The best time to visit Kruger National Park is during the dry season, from April to September. This when with very little rain hits the park. Specifically, July/August are the driest months, resulting in less plentiful vegetation. 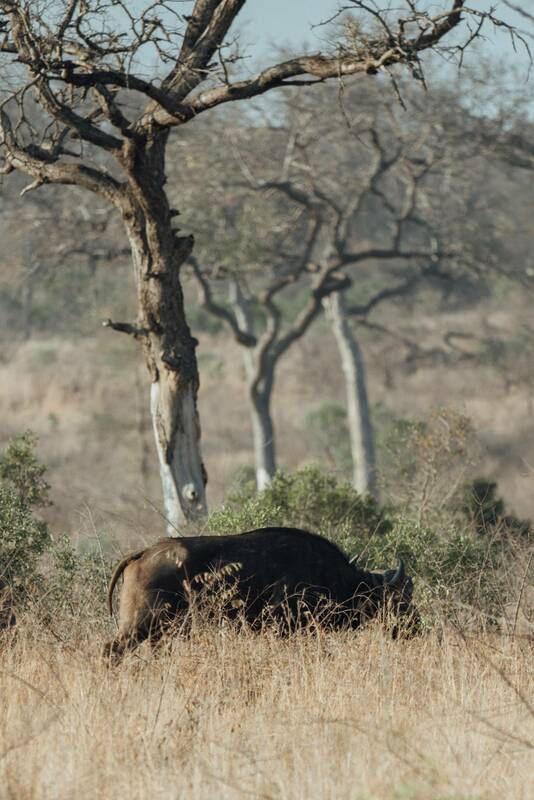 This isn’t great for the vegetarians of the savannah, but it is great for spotting that buffalo through the bush. During rainy season the greenery is so dense that you may only see an animal if it runs across the road only to disappear again into the bush. Dry season also means that watering holes, rivers, and streams are nearly dried up. Animals big and small, predator and prey must then gather at these oases to get a sip. 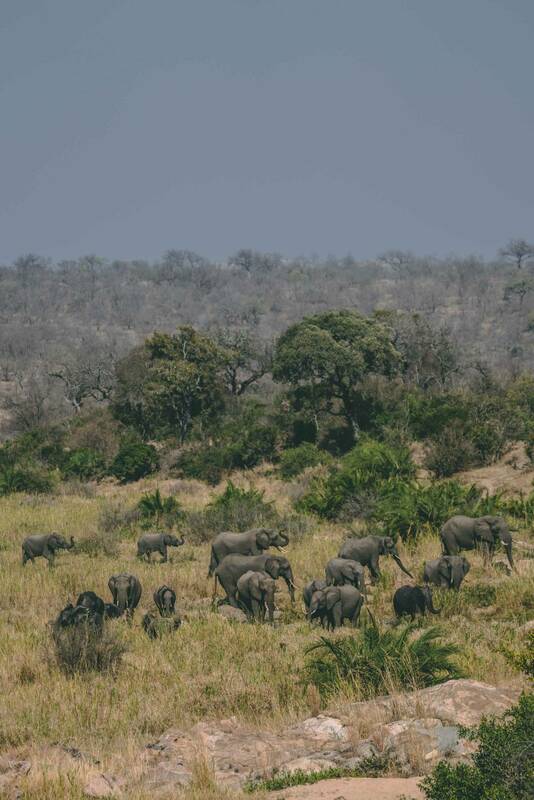 We came upon a scene as if it was out of the Lion King, where elephants, baboons, rhinos, zebras and impalas were all gathered around a watering hole. 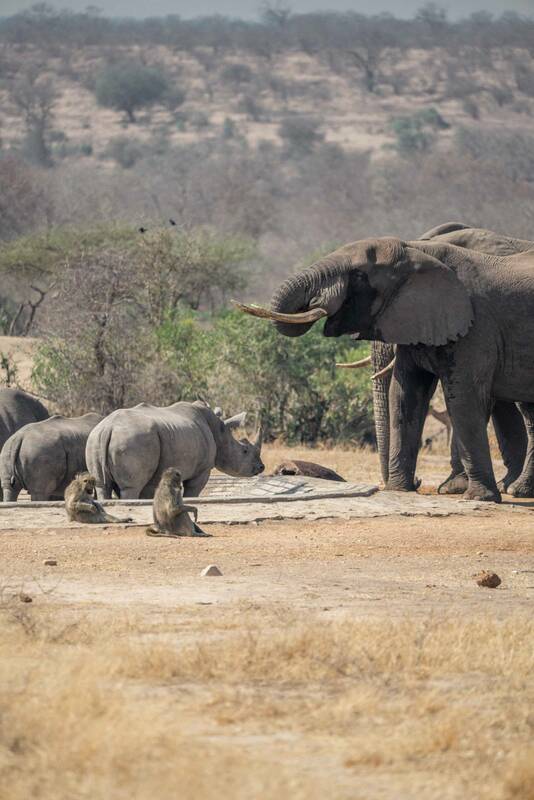 The elephants and rhinos were VIPs here, while the baboons, impalas and zebras patiently wait their turn. Lions have been spotted joining the animals for a drink, respecting the sanctuary of the watering hole and the creatures among it. To drastically increase your chances of spotting animals in the distance, you should be in a taller vehicle. You are permitted to drive your own vehicle, however if you are in a low vehicle, like an average sedan, you won’t be able to see over any shrubbery or small hills. You won’t have any problems spotting a giraffe though. Hailing as the tallest animal on the planet, this modern-day brontosaurus may be the only animal you can spot from a low ride vehicle. Our park tour came with a guide and a tall converted 4x4, so our seats were 6 feet off the ground. This doubled the distance we could see and meant our line of site was above natural obstructions. 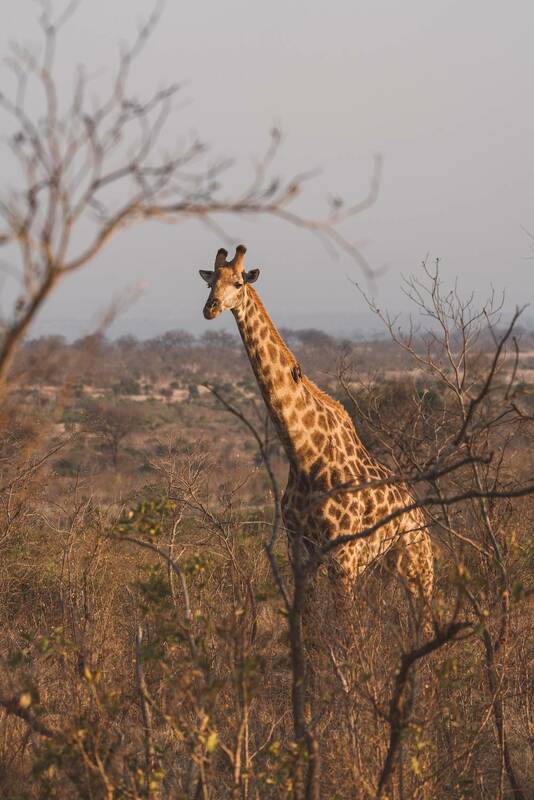 We could see giraffes a kilometer away. The naked eye at 20/20 vision can view in detail up to 20 feet; anything beyond that is noticeably obscured. Try and read the tiny font of a newspaper from 20 feet away...it's near impossible. 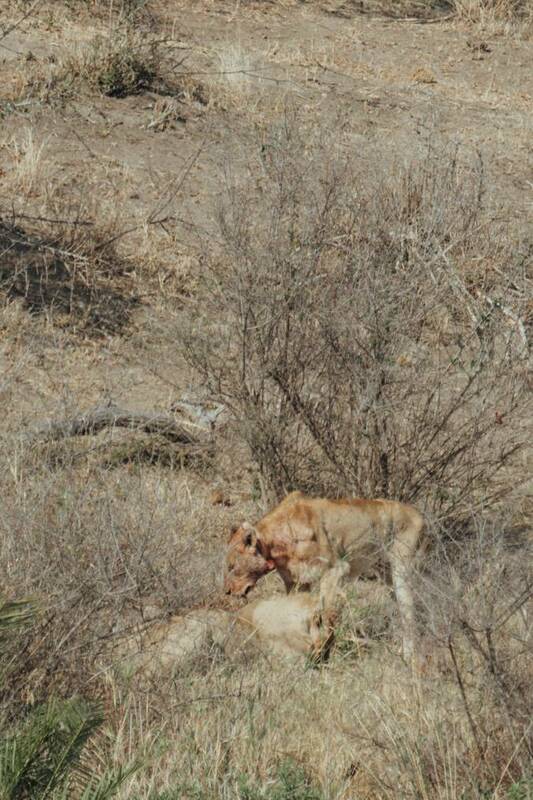 While on safari in Kruger National Park, I could spot a lion resting in the shade and recognize its shape. Now behind the lens, I can magnify that image 400x and could see individual hairs, gaze into the eyes of the beast and watch dust wisp with each step. Getting this perspective enhanced the experience for me tenfold. I could identify certain animals that others in my vehicle were unable to detect. Serious photographers should invest in a zoom lens, I was using the Sony 100-400 f4 zoom lens from BH Photo. If you’re not big into photos, at least get a pair of binoculars. 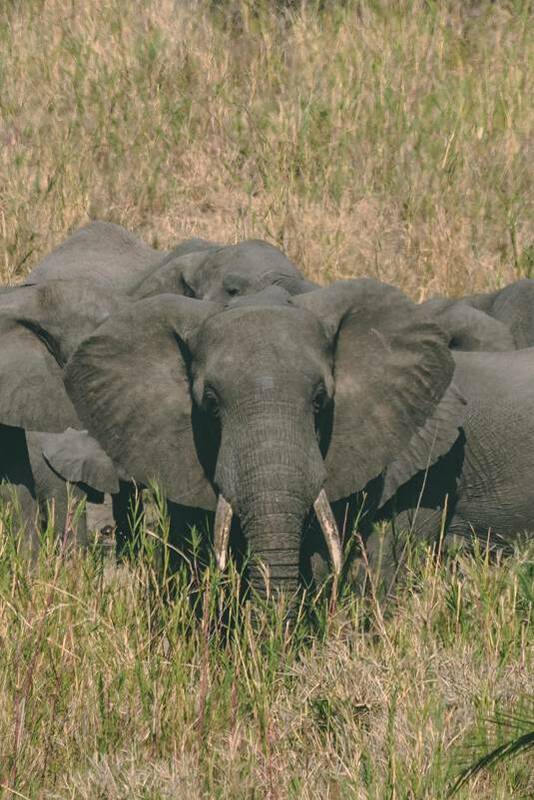 Locals always know best and this is a place where you definitely should book a safari guide. We had a car of 12 adventurers + 1 guide. 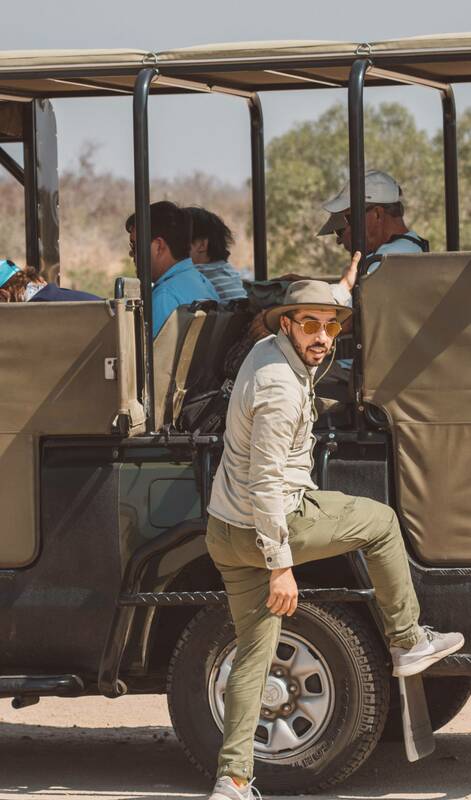 With the help of our G Adventures safari guide we were able to spot dozens of animals we had no clue were in front of our eyes. I’m still amazed how he spotted the silhouette of a leopard 100meters in the distance. He grew up exploring the park and knows how the animals hunt, move, think and where they drink. 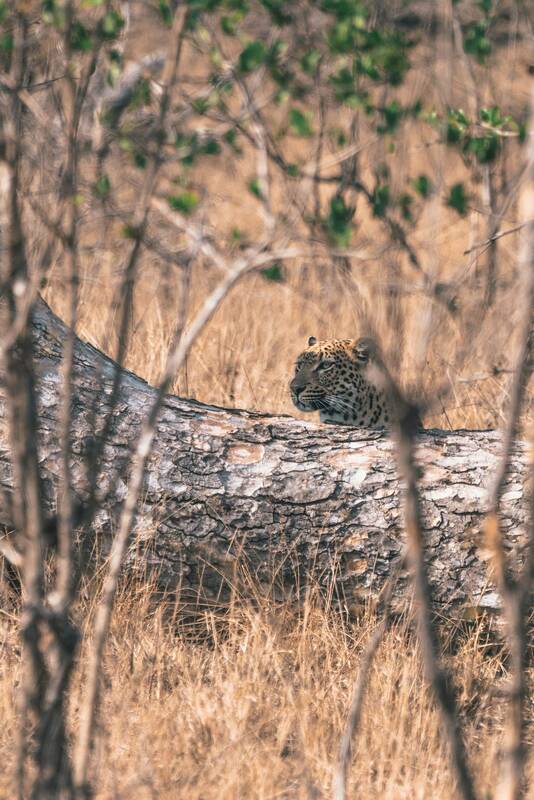 We would have never seen this camouflaged leopard without his tuned eyes on the lookout. 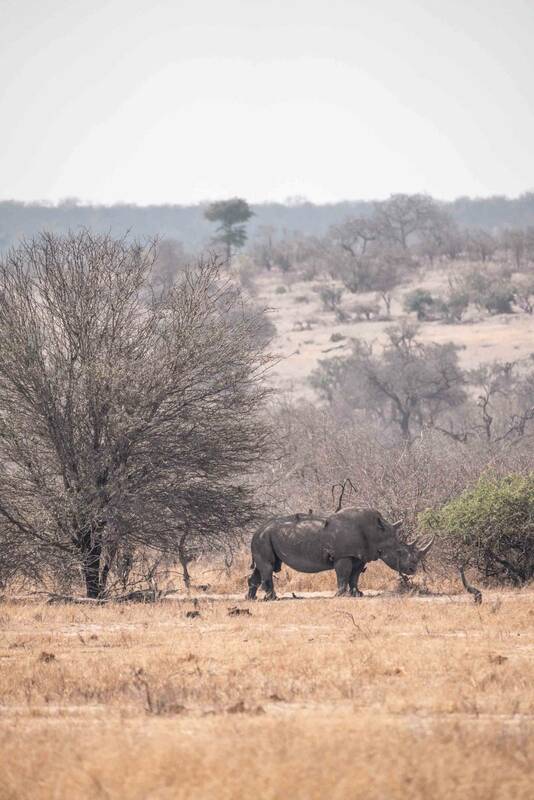 "Seeing the Big 5 was a highlight of my life I will never forget." - Siya Z. The constant reminder that “this is not a zoo” kept circling my thoughts as these majestic creatures went about their day. 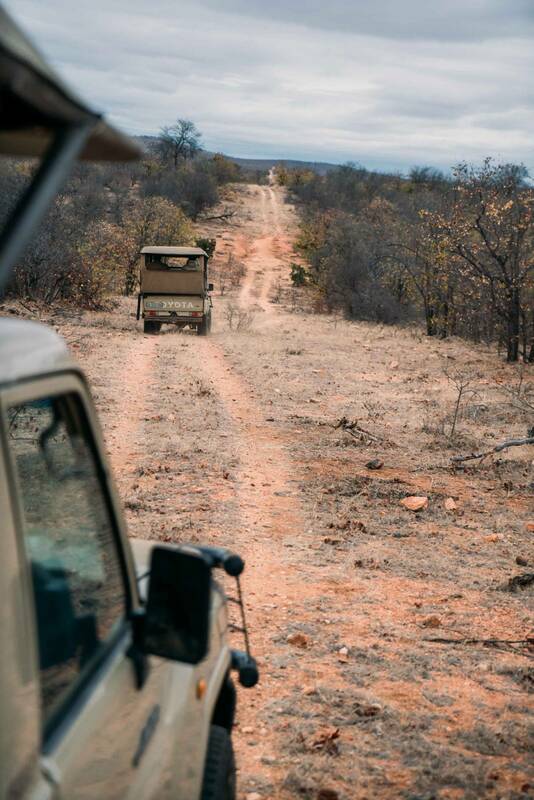 If you’ve read this post you’re thinking about or already booked a trip to Kruger National Park. These tips will ensure to increase your chances of spotting all 5 majestic animals. 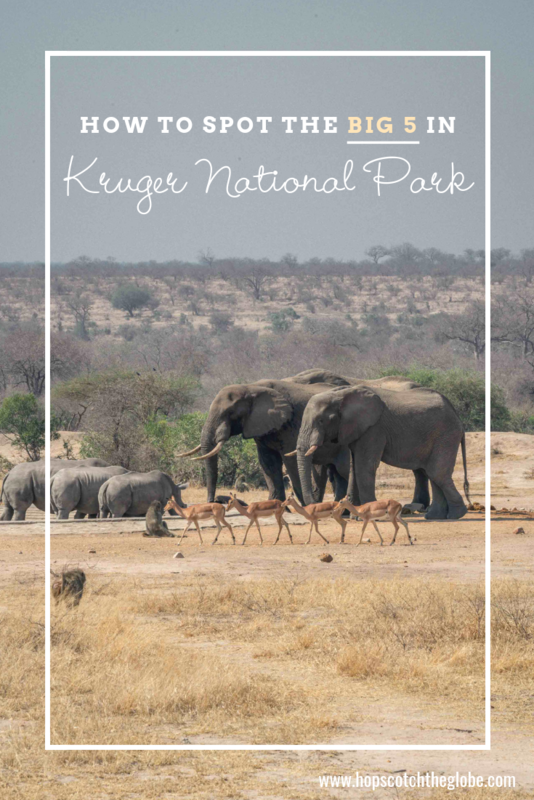 If you’ve read this post and you’re thinking about booking a Kruger National Park safari package, these tips will be sure to make the most of your trip and increase your chances of spotting all 5 majestic Kruger National Park animals. Psst...did you know South Africa made the Lonely Planet Top 10 Best in Travel for 2018?! If it wasn't on your bucket list, I'm sure it is now! Have you seen any of these animals in the wild? Share your story below. DISCLAIMER: A special thanks to Lonely Planet for sponsoring this post. As always, all thoughts and opinion our my own. Wow, Thanks, Siya for these great tips on spotting the big five. I wish I knew this when I first visited the Kruger national park. On my next visit, I will really prep properly. Especially I didn’t have a great camera the first time that was some years back. This time around I will go with my binoculars with a built-in camera to get a better viewing and capturing the moments. Lovely shots! wanna visit the national park. Me too! I need to go next time as well. What an amazing opportunity of a life time. Love the animals shots. So wild….